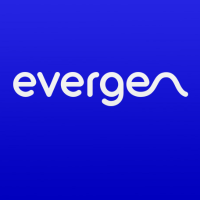 Sydney, 25 August 2015: Renewable energy tech startup Evergen today launched the nation’s first, next-generation, intelligent home energy management system, with the investment and technical backing of leading investment manager, AMP Capital and CSIRO. Leveraging the combined strength of solar and batteries with smart technology, the Evergen system continuously analyses and optimises home energy costs, always choosing the most efficient source between solar, battery and the grid. The energy management technology was developed by CSIRO, which has granted exclusive rights in the energy management technology to Evergen. In an Australian first, Evergen learns the power consumption patterns of each customer household and forecasts solar production based on analysis of local weather to build a picture of future energy flows to make smart decisions that reduce energy costs. The system is remotely managed by Evergen and regularly analysed and updated by CSIRO. The intelligence of the Evergen system is expected to deliver an additional 20 per cent saving on energy costs compared to existing domestic solar and battery solutions, and to extend battery life through use of its smart management. This means that customers can save up to 60-80 per cent on household energy costs* when switching to an Evergen system. As Australia’s energy consumption continues to grow, the Evergen system is a significant step towards improved energy efficiency and security, with customers increasingly shifting away from consuming energy during peak periods. Renowned energy scientist and Evergen CEO Dr Glenn Platt said the Evergen integrated energy management system is the gateway to smart homes of the future. “Evergen is the first remotely-managed renewable energy centre for domestic use, offering Australians far greater control and choice over the way energy is used and distributed in their home. Distributed energy technologies such as rooftop solar are the biggest growth areas in the market globally, and upcoming new technologies will completely change a market that has operated the same way for decades. We are already working on a range of product innovations, which will add new options to the Evergen smart system during the next five years,” Dr Platt said. AMP Capital CEO Adam Tindall said AMP Capital’s energy sector expertise particularly in its infrastructure business combined with the company’s close relationship with CSIRO has provided a unique opportunity to develop a new business in clean energy and energy efficiency. “The emergence of solar, battery storage and smart technology is expected to fundamentally change how power is produced around the world. With its ample solar resource and deregulated energy markets, Australia is at the forefront of pioneering new business models in the space and is set to be a global leader. Evergen will be well placed to take advantage of these favourable market forces,” Mr Tindall said. Evergen systems are ideally suited to freestanding homes and can be installed throughout Australia. A limited number of systems featuring the beta version of Evergen’s energy management software are now available to Australians as part of an early release program, with second-stage release program to be rolled out in January 2017. The Evergen unit cost is competitive with comparable solar and battery solutions and includes the solar panels and battery units as well as the intelligent management hardware, home consultation and installation. Based on the pilot program, the anticipated savings to household energy costs are up to 60-80 per cent from day one* meaning the Evergen system is expected to deliver a strong return on investment. Evergen customers can look forward to ongoing customer support of the product within their homes and updates and analyses from CSIRO. Evergen products have already been operating within select Australian homes for a period of 12 months and are subject to rigorous and ongoing safety and performance testing in collaboration with CSIRO. *60-80% savings are based on analysis of Evergen’s early customers. Actual savings will depend on household energy consumption and the size of system installed. Evergen performs individual cost savings estimates as part of the system design process.